Explore our Gallery area which is packed full of informative displays showcasing modern day Antarctica, including the Antarctic Treaty partners, the human impact on the continent, the wildlife and plant systems and Antarctica’s effect on the globe. Our Gallery area encourages ‘touching’ of most of the exhibits to ensure visitors experience Antarctica in a fun and interactive way. Visitors conclude their Antarctic journey with a 17 minute sound and light show “Beyond the Frozen Sunset”. Filmed by Emmy award winning film maker, Mike Single, it follows a seasonal arc from sunset to sunrise, weaving in stunning footage shot by mounting a camera to the underside of a helicopter. This majestic audio visual show captivates its audience and leaves visitors with a moving experience of “having been there”. The nocturnal nature of the Little Blue penguin means that most people miss out on sharing in the magic of these little birds…….UNTIL NOW! The New Zealand Penguin Encounter is New Zealand’s first combined indoor/outdoor penguin viewing area with capacity to hold up to 26 Little Blue penguins. 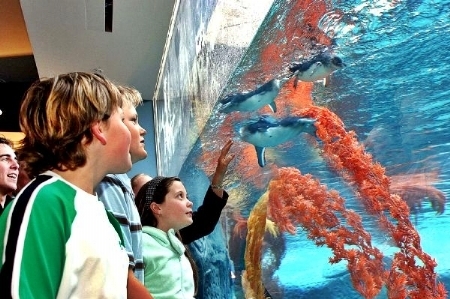 With its centrepiece being a penguin life support area and 80,000 litre pool, the Encounter allows visitors to view Little Blue penguins in a Banks Peninsula natural-themed environment that can be accessed on two levels. 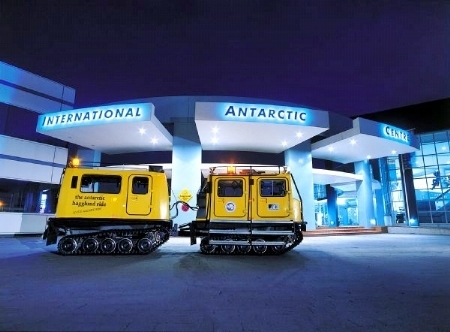 Climb aboard the amazing Hagglund genuine as-used-in-Antarctica all terrain vehicle, sit back, hold on and experience travelling across rough terrain in this unique and exciting machine! 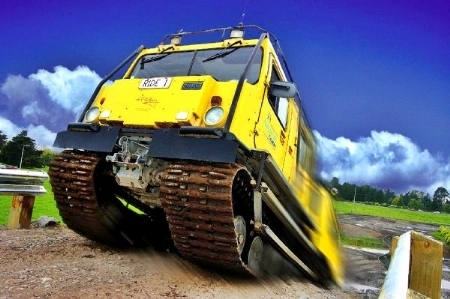 We aim to simulate the same travelling conditions as scientists would experience riding in a Hagglund across the ice pack. This ride is the only one of its type in the world. It showcases the demanding capabilities of the Hagglund ATV. Your all day pass allows you unlimited Hagglund rides.